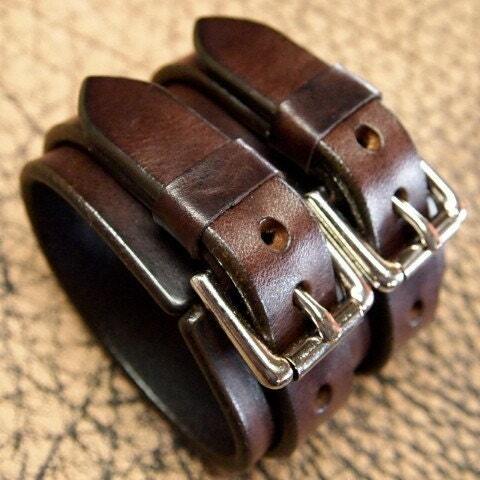 This 2.5" double strap cuff is made from 9 oz rich brown bridle leather. 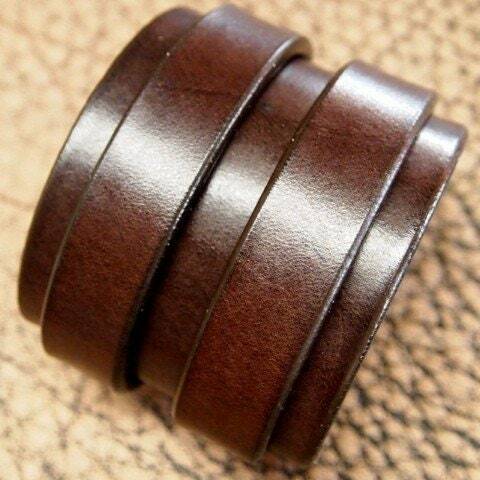 It is hand worked, slick edged and polished to perfection. Uncommon quality work hand work! 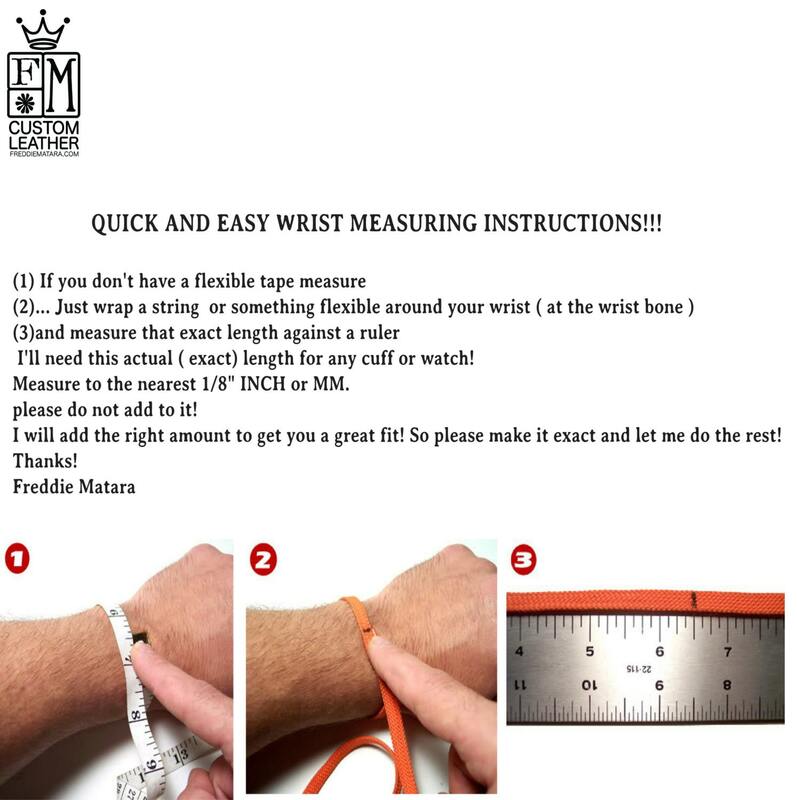 I'll need a wrist size! Instructions in the pics above!. 2nd purchase. Both great quality! 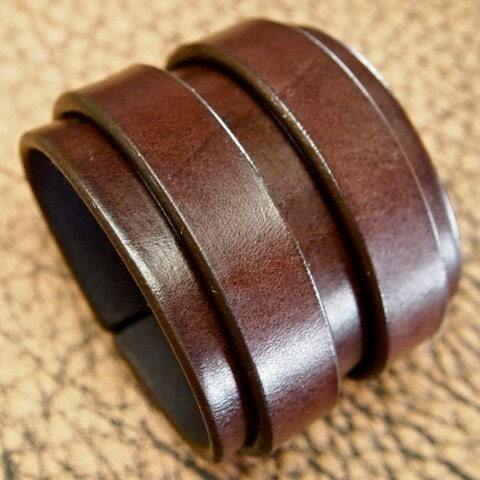 Very nice material and well done! Absolutely awesome!! Quick delivery from order. Can't fault in any way. Fantastic work! Thank you very much Freddie!